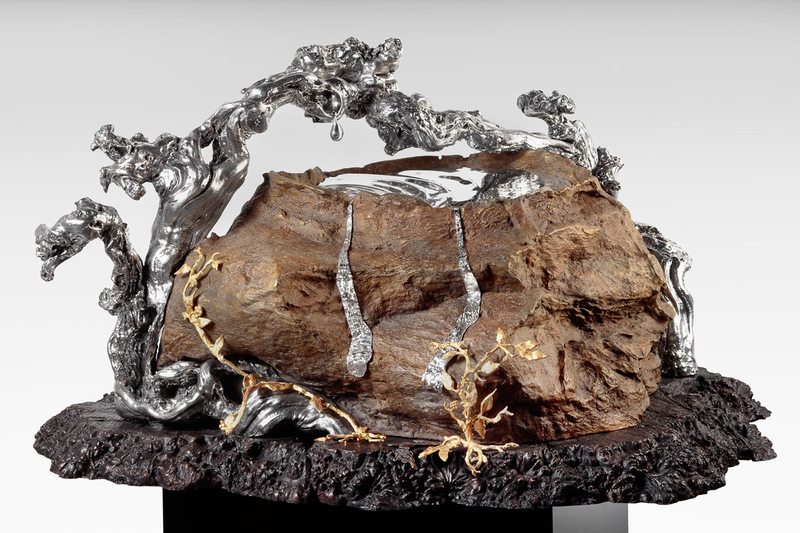 This piece reflects the artists continued focus on nature’s miraculous shapes as well as humanity’s shared common points of genesis and destiny with all living things that surround us. "Tears of the Holocaust" presents a new philosophic view of the Holocaust as the ultimate testament to the resiliency of the human spirit. 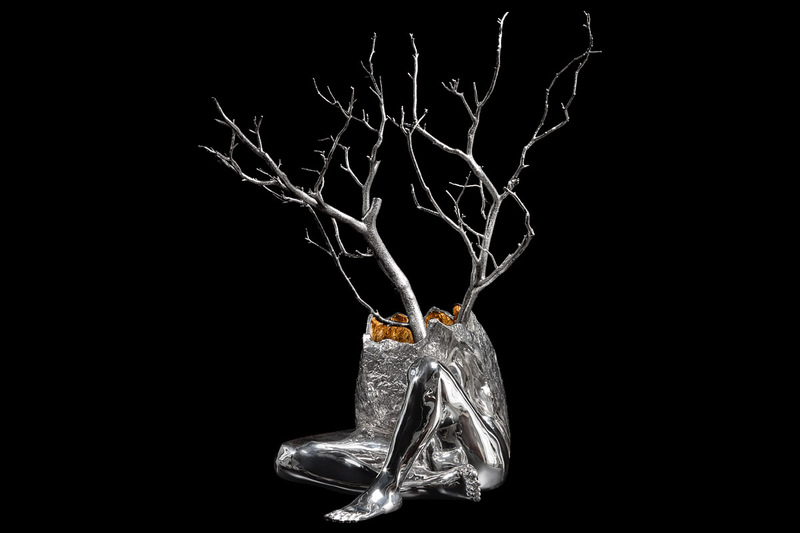 The sculpture affirms that evil exists, but unlike other artistic expressions of the Holocaust which feature scenes of horror, the piece conveys a strong reverential story. 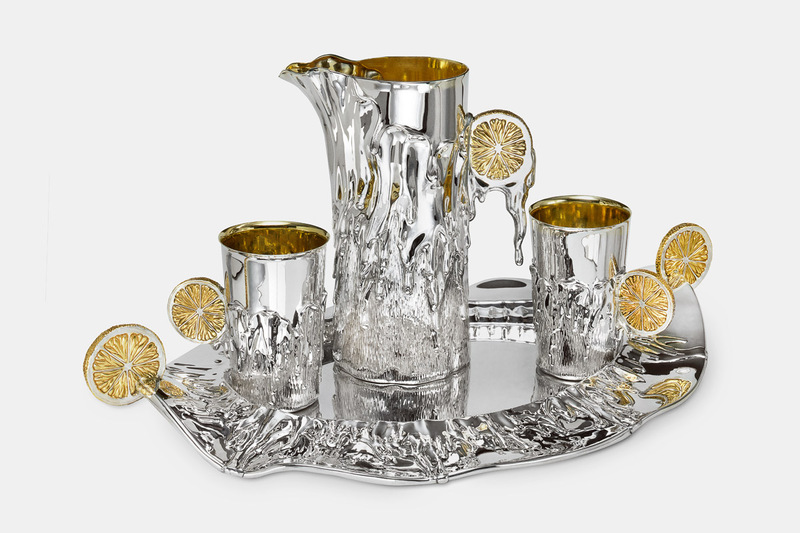 Debuting in August 2017, the Renwick Gallery Smithsonian American Art Museum (SAAM) in Washington DC is exhibiting Galmer's "Lemon Set", which includes a pitcher, cups, napkin rings and tray, as well as the artist's sketch. 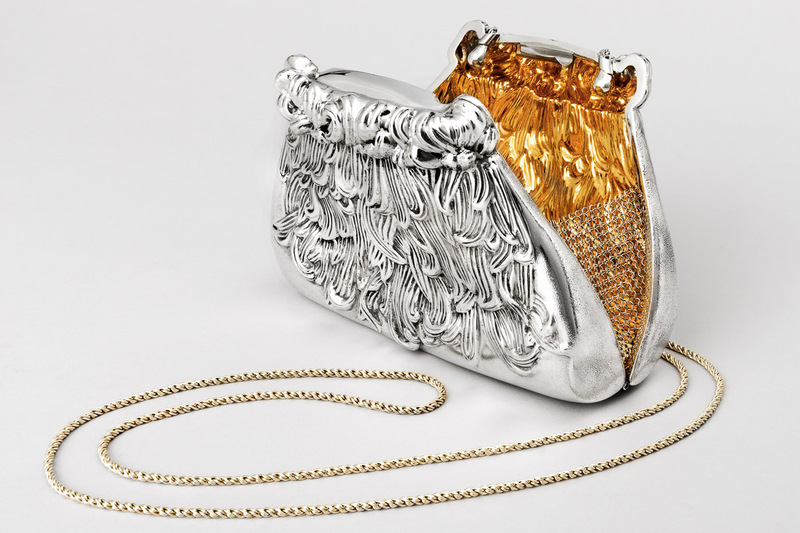 After a concept drawing and a series of resin molds, reverse molding with hand chasing and advanced casting were used to create the intricately detailed silver & gold vase with gemstones as well as an silver & gold evening purse. 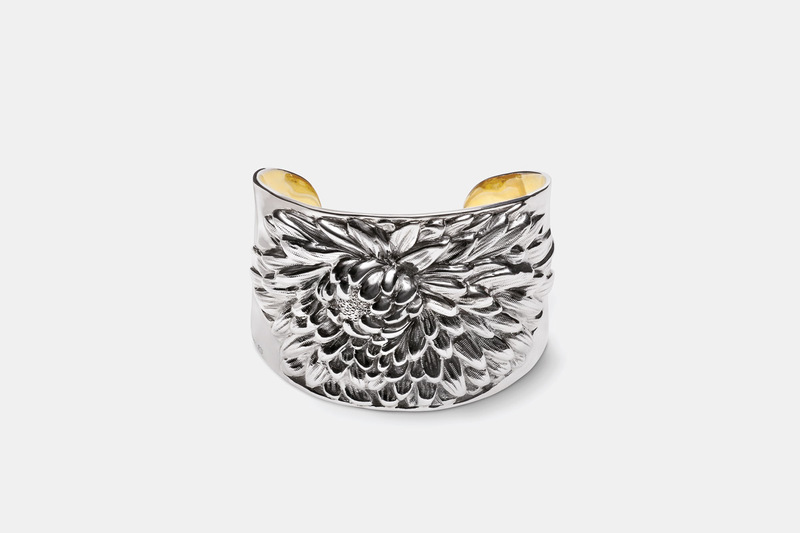 Sterling silver with 24K gold-plated interior. 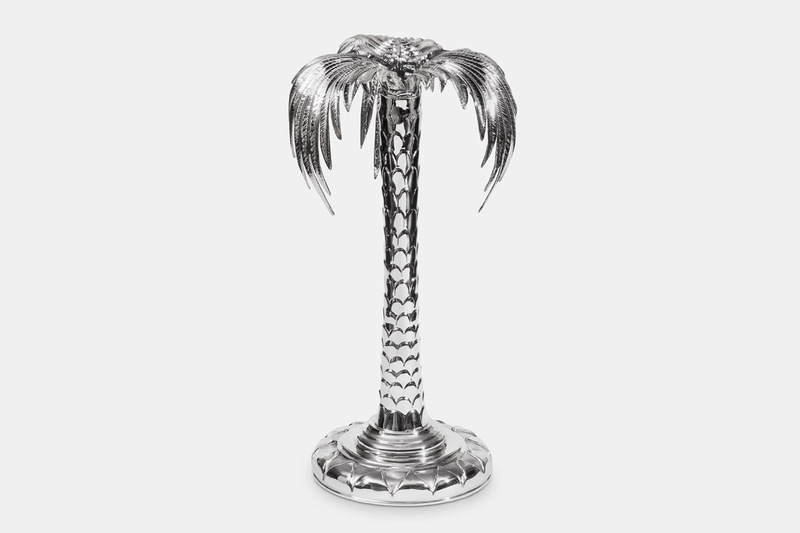 Chosen from an extensive exhibit featuring a panorama of works by Galmer, The Palm Candlestick embodies the advanced concepts and techniques that have shaped his career. 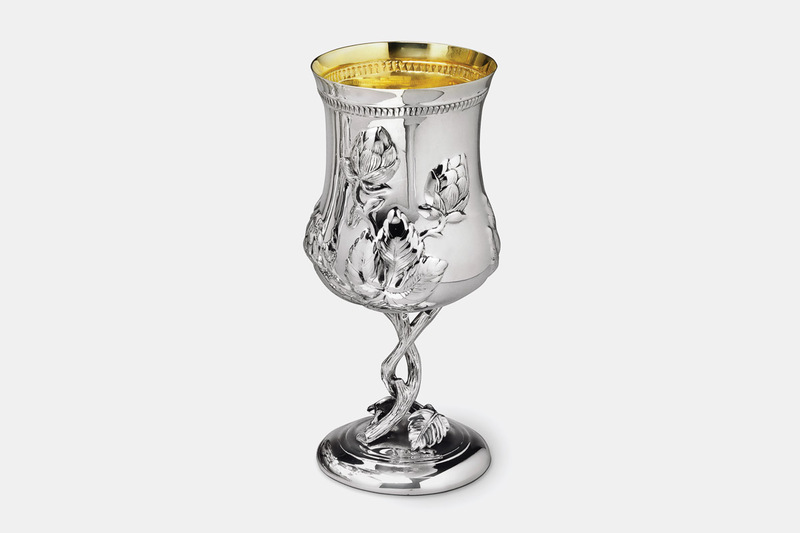 In April 2017, Newark Museum aquired the Hops Blossom goblet to be included in an exquisite new collection created in honor of the retirement of Ulysses G Dietz. 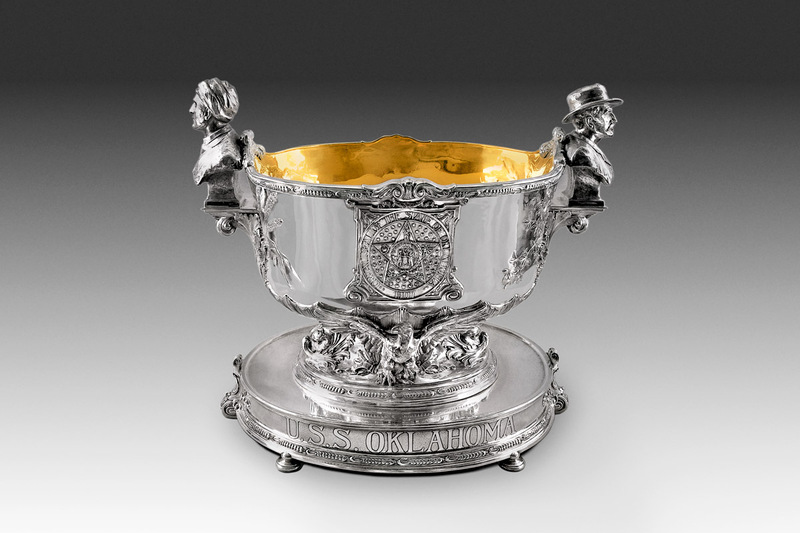 One of the nation's top silver experts who has curated an exceptional permanent collection of silver throught American history for the museum, Dietz chose the goblet for his farewell permanent display. On October 10th 2009, Michael Izrael Galmer was a proud participant in the commissioning of the USS Wayne E. Meyer (DDG108) US Navy Carrier. 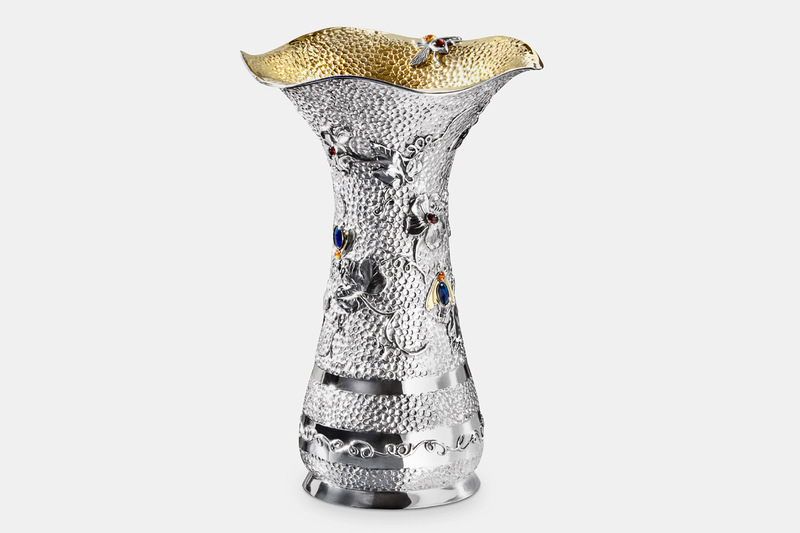 At the historic ceremony on Penn's Landing in Philadelphia, Michael's creation, a large commemorative silver plate with intricate details and eagles on each end, was presented to honor the ship with the motto "One Powerful Legacy." 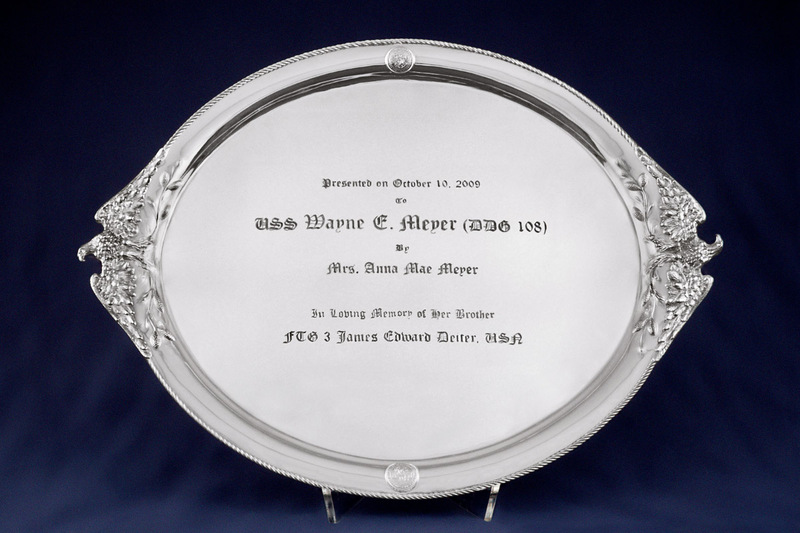 "USS Wayne E. Meyer Commemorative Plate"
Michael Galmer replicated the famous USS Oklahoma Punch Bowl which had deteriorated after decades of use. 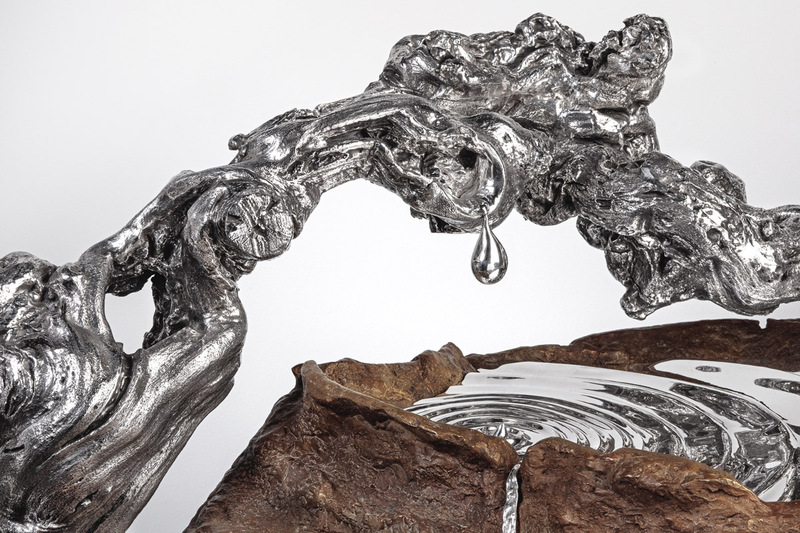 The sterling silver replica is on display at The Governor’s Mansion yearly and is used at state functions.